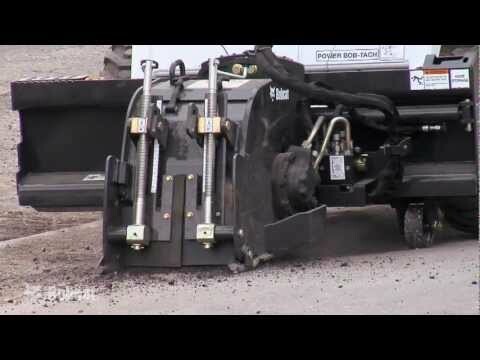 Cut and Mill concrete or asphalt in a hurry! BOBCAT 24" planer with a 24" wide carbide tipped Fastcut drum - High flow hydraulics, 0-6" cutting depth. Free float oscillation. Hydraulic side-shift. Rear mounted steel wheels. 7 pin attachment control kit. Cut drainage in parking lots. Clean up around larger milling machines.